With Multifunction Devices (MFDs) you can not only print but also scan paper documents and send those documents to email and fax recipients. However, when you want to directly fax from a MFD you have to attach a specific telephone line to each device which implies high infrastructure and communication costs for occasional fax use. In addition you run risks with regard to compliance and retention rules. With MessagePlus/Open it is very easy to retain the convenience of using MFDs, but at the same time to avoid infrastructure and communication costs and to consolidate the IT infrastructure. 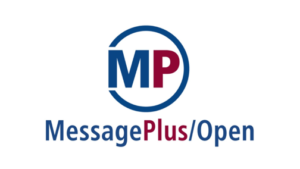 The MFDs are connected trough the corporate network and MessagePlus/Open will do the rest: transmitting your documents to fax or SMS recipients, and providing transmission notification to any addressable unit such as an email address. All these transactions are securely stored in the MessagePlus/Open data base providing a traceable record of your business transactions facilitating and guaranteeing compliance with data retention rules.